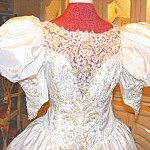 This is very similar to my wedding dress. 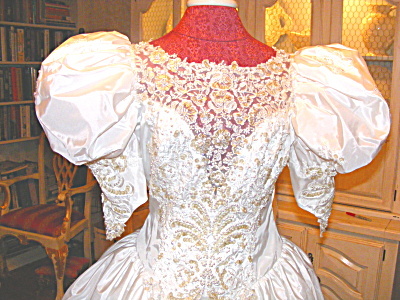 I'm not much on today's strapless styles, but even I have to admit the sleeves back then were a bit much! The world and its desires pass away but the man who does the will of God lives forever. In a way this reminds me of what John is saying here. Don’t forget that the world and all it has is fleeting, temporary, and already passing away. Much of our lives is given to things that do not stand the test of time.To experience something eternal, do God’s will. This investment brings rewards that last forever.